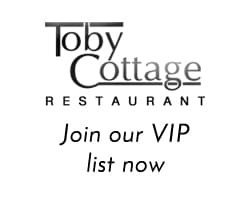 Toby Cottage is a cosy and homely restaurant set in a beautiful 16th century oak-beamed building in the lovely village of Ripley, just under four miles from both Woking and Guildford and a matter of minutes away from Junction 10 on the M25. Originally built as a cottage, for many years the building housed an antique shop specializing in the sale of Toby Jugs, thus providing an obvious choice of name when it was converted into a restaurant in 1979. Since then it has earned a well-deserved reputation as one of the best restaurant’s in Surrey. Our style is traditional : silver service provided by knowledgeable and professional staff, because we believe that a meal at a restaurant is not just about the food, but the whole experience. Enjoy an aperitif in our cocktail bar whilst you choose from our English and continental menu. We offer an excellent à la carte menu alongside a range of seasonal specials based on the finest produce available. For special occasions and events, we can cater for up to 70 guests with a selection of set menus or can happily devise bespoke menus upon request. If you like culinary theatre just ask for our flambé cooking at your table. 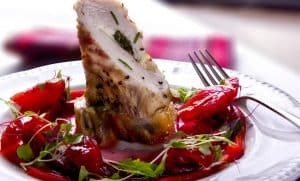 We are particularly proud to be carrying on the tradition of excellence by offering an outstanding range of freshly prepared fine food, the best wines and attentive service at very competitive prices.